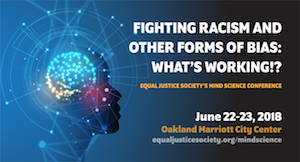 Equal Justice Society Conference: Fighting Racism and Other Forms of Bias: What’s Working!? Session Title: TBD Description: Explore the ways in which unconscious bias and stereotyping affect the relationships between teachers and students, teachers and parents, and teachers and other educators. 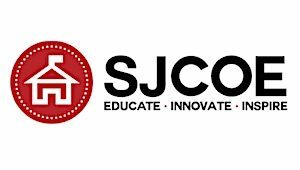 Session Dates: Jun 22 – 23, 2018 Session Time: TBD Location: Oakland Marriott City Center 1001 Broadway Oakland, CA. Sheraton San Diego Hotel and Marina, 1380 Harbor Island Dr. Build capacity to work effectively with students of color, thus eliminating the racial achievement disparities that exist in schools. Understand Culturally Relevant Pedagogy as a tool participants will use to reflect personally on their practice and analyze the systemic issues that perpetuate the disparities. Improve communication to strengthen your capacity to have honest and compassionate dialogue to positively impact students’ learning experience and lives. 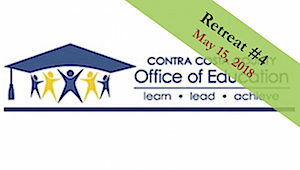 Engage in an exploration of diversity issues that districts face today. Identify where and why districts fall short in adequately attending to these issues, and present strategies to overcome the barriers that inhibit or stop dialogue and necessary actions. Self-assess your personal history and beliefs to help you understand and effectively resolve your triggers. Moscone West Center, 747 Howard St.
No matter how good our intentions to be free of prejudice, we all have implicit biases that can have a serious impact on our work in schools. Participants will explore the concept of implicit bias and the nuanced behavior that is a product of our unconsciousness. Participants will have opportunities to reflect upon how their implicit biases may be impacting their work in schools as well as their personal lives. They will engage in activities to practice compassionate dialogue allowing them to learn skills of “interrupting” the behavior internally and interpersonally. Finally, they will create an action plan around the essential question: What am I willing to do to not only become aware, but interrupt actions that reflect implicit bias? Identify exclusionary language that is commonly used (e.g. “non-white”). Learn practical ways to remedy exclusionary language in the workplace. Understand the impact of “non-ness” language and attitudes on diverse groups. How much of who we are is defined by our acceptance or rejection of labels. The positive aspects that include a sense of belonging and shared values are, sometimes, outweighed by the stereotypes and bias that diminish our experience as full participants in society and as whole human beings. Learn how to think about race and ethnicity as an evolving part of the human experience that, with understanding, self-reflection, and a willingness to engage in the larger world around us, can help you thrive. Explore the ways in which unconscious bias and stereotyping affect the relationships between teachers and students, teachers and parents, and teachers and other educators. Take part in shaping a strategic roadmap to uncover your own bias, define or redefine your racial and ethnic identity, and investigate the ways that school rewards some students but not others. Develop a personal plan of action to interrupt the predictable disproportionality in outcomes for students of colors. Silverado Resort and Spa, 1600 Atlas Peak Rd.